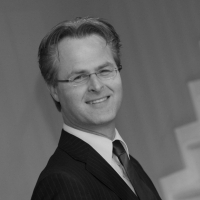 Theo Notteboom is a professor in port and maritime economics and management with about 25 years of experience in the field. He is Director of the Center for Eurasian Maritime and Inland Logistics (CEMIL) at Shanghai Maritime University in China and Research Professor at the China Institute of FTZ Supply Chain. He is Chair Professor at Ghent University and a part-time Professor at University of Antwerp and Antwerp Maritime Academy in Belgium. He is co-director of Porteconomics.eu, a knowledge dissemination platform on port studies. He previously was Professor and High-End Foreign Expert at Dalian Maritime University in China (2014-2016) and MPA visiting professor at Nanyang Technological University (NTU) in Singapore. He is Council member and immediate past President (2010-2014) of International Association of Maritime Economists (IAME). He is a regular speaker at international conferences and a rapporteur/expert to leading organizations in the field. He received eight international awards for his work and is one of the most cited maritime and port economists in the world.